Tonight’s event is “An Evening of Wine, Cheese, & Chocolate,” which runs from 7 to 9 p.m. Participants (21 and older, please) will enjoy samples of chocolates and cheeses paired with boutique wines and other Vom Fass delights. Cost is $25 per person, and reservations can be made by calling the shop at 909-399-0256. Space is limited. On Friday (October 20), the shop is hosting a specially-priced tequila tasting party from 7 to 9 p.m.
Vom Fass recently started selling small-batch, organic tequila and the shop is eager to let you sample what they’ve got. Cost is just $10, which includes a full tasting flight of blanco, reposado, and extra añejo tequilas, plus light appetizers. Again, space is limited, and obviously, participants must be 21 or older. Reservations can be made by calling 909-399-0256. 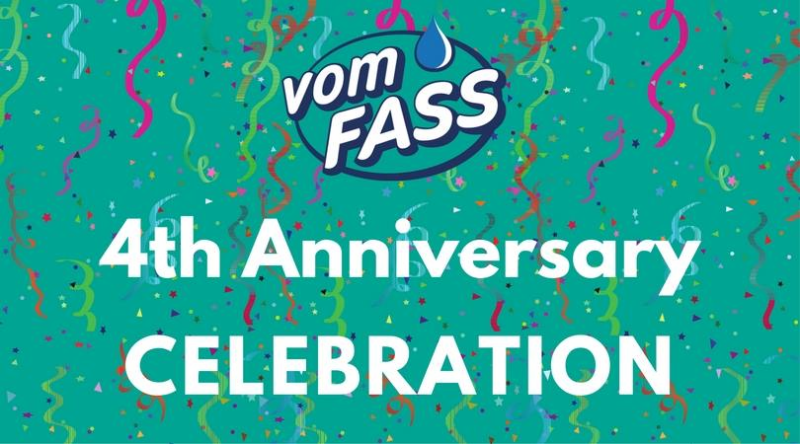 From noon to 6 p.m. Saturday and Sunday (October 21 and 22), Vom Fass will host its customer appreciation days. The store will be offering food and cocktail samples, prizes and double loyalty points. The first 25 people through the door each day at noon will receive a reusable Vom Fass grocery bag. Saturday’s sampling menu includes Moonshine Sangria, Lemon Artichoke Pasta with Roasted Tomatoes and Bruschetta Crostinis. On Sunday, guests can sample Bloody Marys, Truffle Deviled Eggs, Red Pepper Pesto on Nom Bread, and Dates Stuffed with Pistachio Ricotta Cheese. If you’ve never been to Vom Fass, this is your invitation to check out the gourmet oils, vinegars, wines and liquors (and other tasty delights) that they have to offer. Vom Fass Claremont is at 101 N. Indian Hill Blvd, Suite C2-100. This entry was posted in Claremont by John Plessel. Bookmark the permalink.